With Easter arriving next weekend, I thought I’d share what I put together for the kids’ Easter baskets this year. 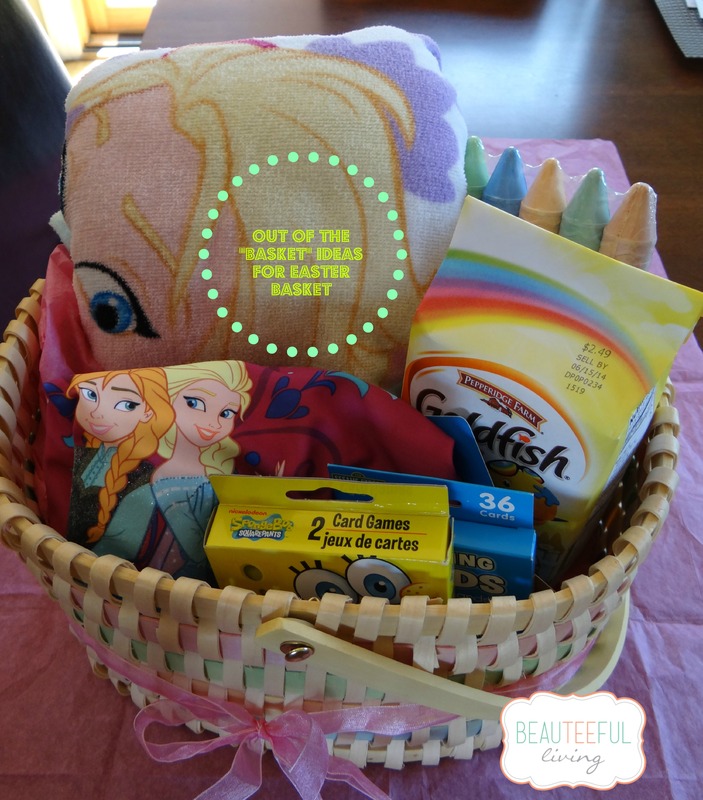 Between all the things the girls received in recent months, I decided to limit this year’s basket to only 6 items and 1 combined gift to share. Less things = less clutter. As a joint gift for the girls, I purchased a bubble machine that spins and has colored lights (purchased at Target). I know they will love it. I also know it will buy me 20 minutes of peace during each play session. Crossing my fingers that this model makes it through more than 1 season. This will be my 3rd bubble machine to date! Awesome ideas! Definitely getting a bubble machine. I’m sure Ayden and Sophia will both enjoy it. Awesome! I love the “no candy” thing. I wish they made better bubble machines. I’ve gone thru so many too. The girls will love the bubbles! Thanks for the ideas! You’re very welcome. Thanks for reading. Will fill you in on how this machine works :). Best bet is to get the “self-inflating” ones. Below Five has it. Works great! Thanks! I think the spinning bubble machine will be the big hit.